When we get into the car, my stepdaughter hooks her iPod up to the system, and the sounds of the 2010s come blasting through the speakers. She sings and can tell us anything we want to know about the people who are singing. Without her, my pop culture knowledge would be zero. Some of the music is good, and some of it is less desirable. However, it is always fun to see how much enjoyment she gets out of it. The other day, we were riding and jamming when I started thinking about the effect of music on our formative years. These are the songs we grow up with, and they stick with us throughout our lives. I came to age in the 1980s and, like others my age, feel a connection to the music of that time. I am not saying it was the best of all time, but it belongs to us. The songs of the 1980s are the soundtrack of our youth just as the songs of the 2010s are the soundtrack of my stepdaughter’s youth. Because of that, each generation holds its music in a little higher esteem than everyone else does. With that in mind, I thought it would be interesting to look back at my high school years and see what was at the top of the charts. I entered high school in 1983, and that will be our starting point. I will also use the Billboard Top 100. Obviously, there are other charts for other genres, but we do not want to go down a rabbit hole and never get out. “Maneater” by Hall and Oates held the spot for the first two weeks of the year. These days, John Oates does a lot of work in Nashville. The next three weeks were dominated by “Down Under” by Men at Work. This is one of my favorite songs from that year. For one week, Toto’s “Africa” hit the top spot. It is interesting that two songs about other parts of the world made their way to the top of the American charts. It is also interesting that Men at Work returned to the top place after this one week. Patti Austin and James Ingram hit it big with “Baby, Come to Me”, but were soon overwhelmed by a 1980s superstar. In March, “Billie Jean” by Michael Jackson became the Number One song and stayed there for seven weeks. Here is a good trivia question. Who knocked “Billie Jean” out of the top spot? It was Dexys Midnight Runners with “Come On Eileen”. However, their success was short-lived. After one week, Michael Jackson came back by putting “Beat It” in the top spot. It would stay there for three weeks. The next week, “Let’s Dance” by David Bowie made its way to Number One, but it did not hold on for long. Irene Cara’s “Flashdance…What a Feeling” was a hit on the radio and on the big screen. For six weeks, guys listened to this song and pictured a dancer pouring water on herself. A song about stalking was next on the list. “Every Breath You Take” by The Police is a good song, but it gets weird as you listen closer to the lyrics. Actually, it was the biggest hit of 1983 and stayed Number One for eight weeks. Eurythmics rode “Sweet Dreams (Are Made of This)” up the charts. In my mind, this is also one of the best songs of the year. Then, we have “Maniac” by Michael Sembello. This is the second song from the Flashdance soundtrack to make it to the top of the charts. Billy Joel was on top with “Tell Her About It” for one week and was overtaken by “Total Eclipse of the Heart” by Bonnie Tyler. This is also one of my favorites and held its position for four weeks. The country went the Pop Country route with “Islands in the Stream” by Kenny Rogers and Dolly Parton. They are both in the Country Music Hall of Fame. They were at the top for two weeks before Lionel Richie came through with “All Night Long (All Night)” in November. He stayed there for four weeks. The year ended with a four-week stay at the top by Paul McCartney and Michael Jackson. “Say Say Say” was a duet that proves McCartney is not new to collaboration. His recent work with Kanye West and Rihanna is just the most recent example. That is it for 1983. 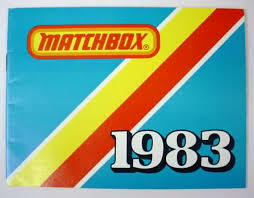 In the next post, we will look at 1984 and find out which of these performers kept their momentum into the next year. Obviously, these are not the only songs of the year. What were some of your favorites? Even I was almost young in 1983. It’s hard for me to think of the 1980s as 30+ years ago. Time has really been hustling along. I can’t believe its been that long. So many great songs that year your post had me look up the Billboard top 100 for the year and relive some good songs. Joe Jackson “Breaking Us In Two”. Def Leppard “Photograph” , Moving Pictures “What About Me” Styx even had a couple on the list. Joe Jackson had some good stuff. We have to acknowledge it was Michael Jackson’s year, but it was also when New Order first released the awesome “Blue Monday”. I forgot about that. Excellent stuff. That line is true. I am not saying they are great songs, but they are the songs of my generation. ‘Islands in the Stream’ has to be my favourite there. I am an unashamed Dolly fan! Dolly is from Sevierville, TN and grew up in a state of poverty. I’ve always said she is one of the smartest people to ever come through Nashville. I have a bucket list wish to visit Dollyville! I can say one thing. It’s an interesting place to watch people.